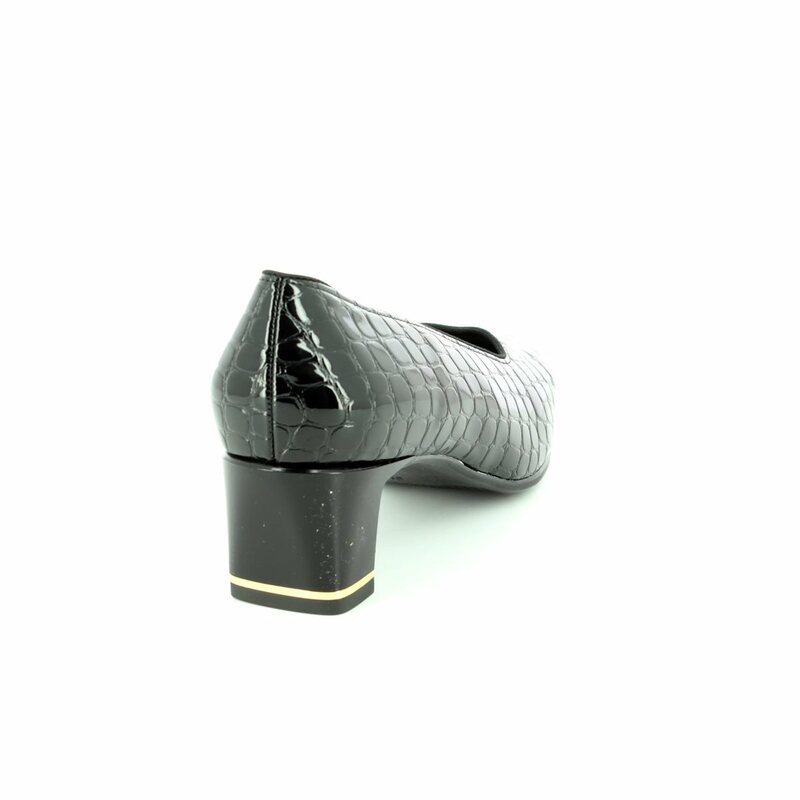 Ara bring us 1241768/07 VERONA. 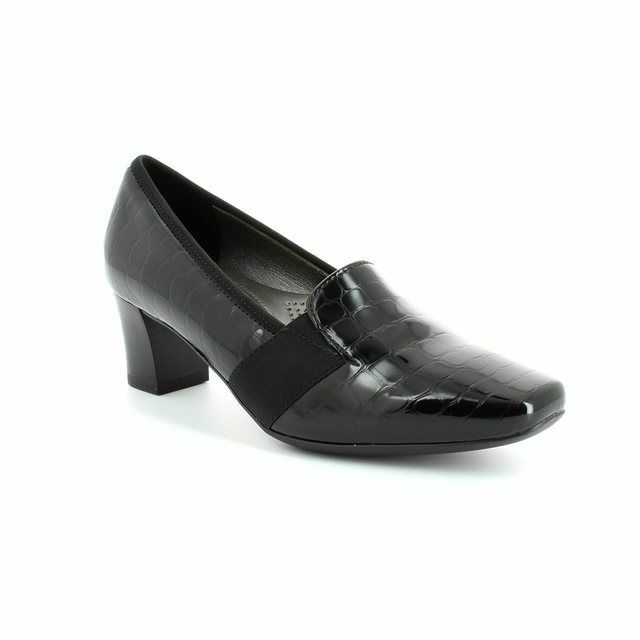 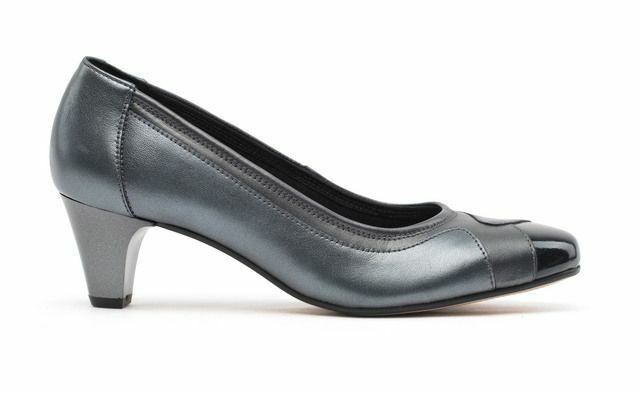 Ideal for all occasions, these ladies heeled court shoes are a real wardrobe staple. 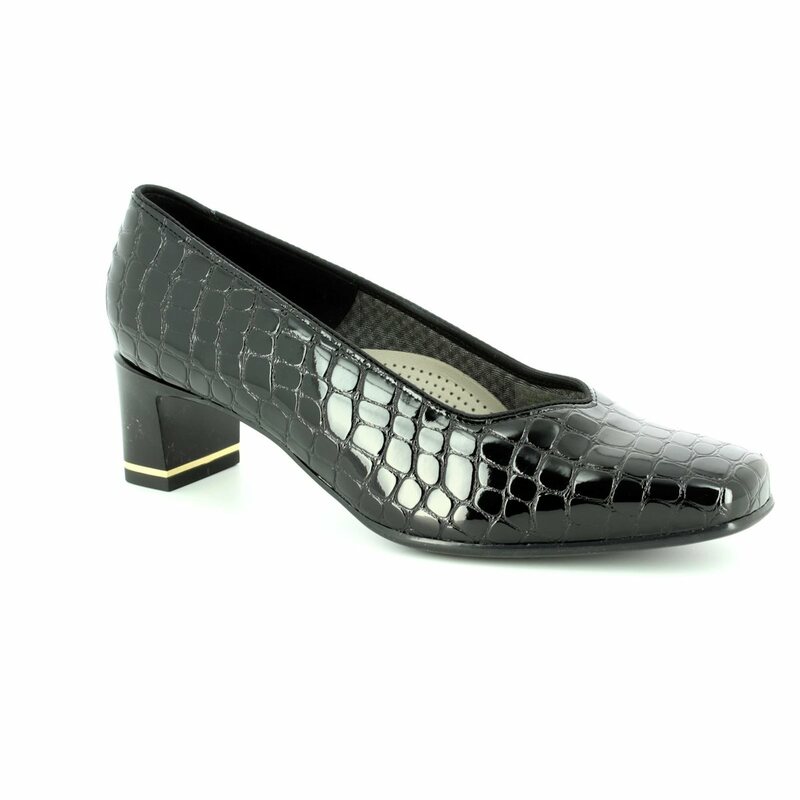 The black faux croc upper has a patent finish for a classic look. 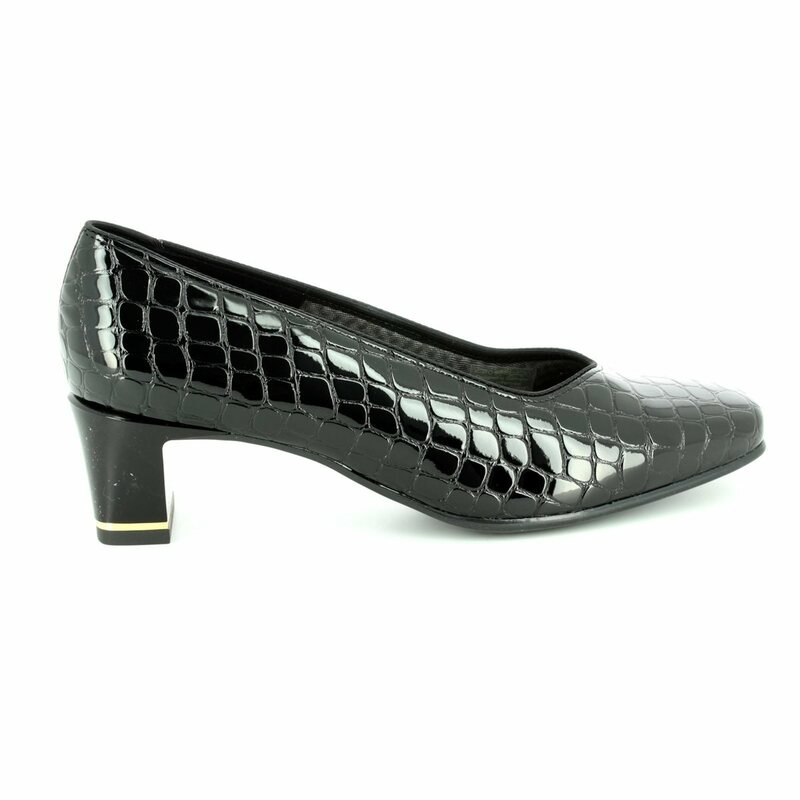 Ara have used a low front on these ladies courts to draw the eyes down, elongating the appearance of the legs. 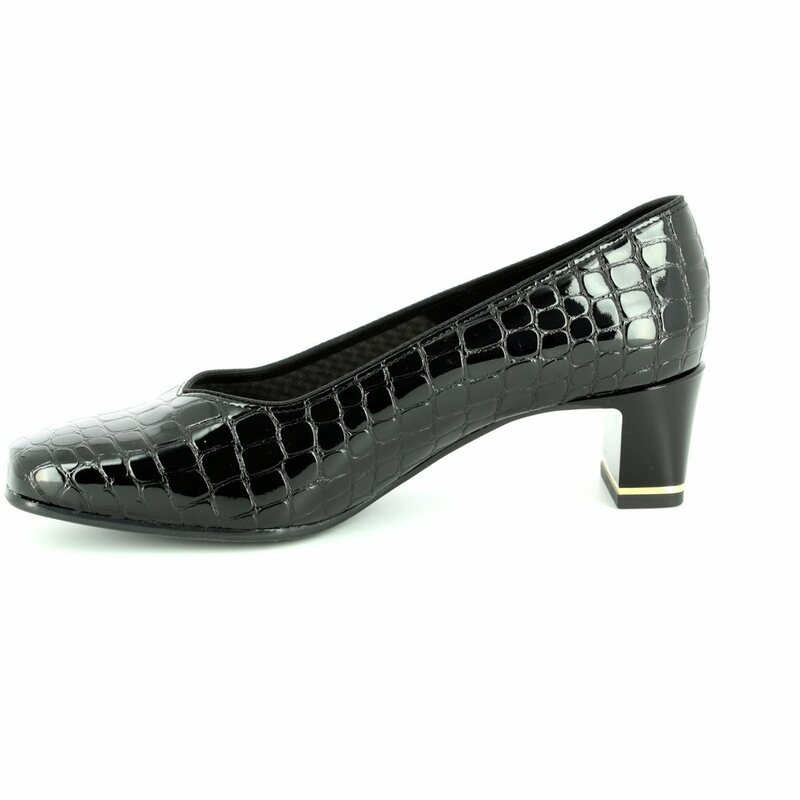 A mid height block heel adds elevation to these ladies shoes while a gold trim on the heel adds a stylish twist. 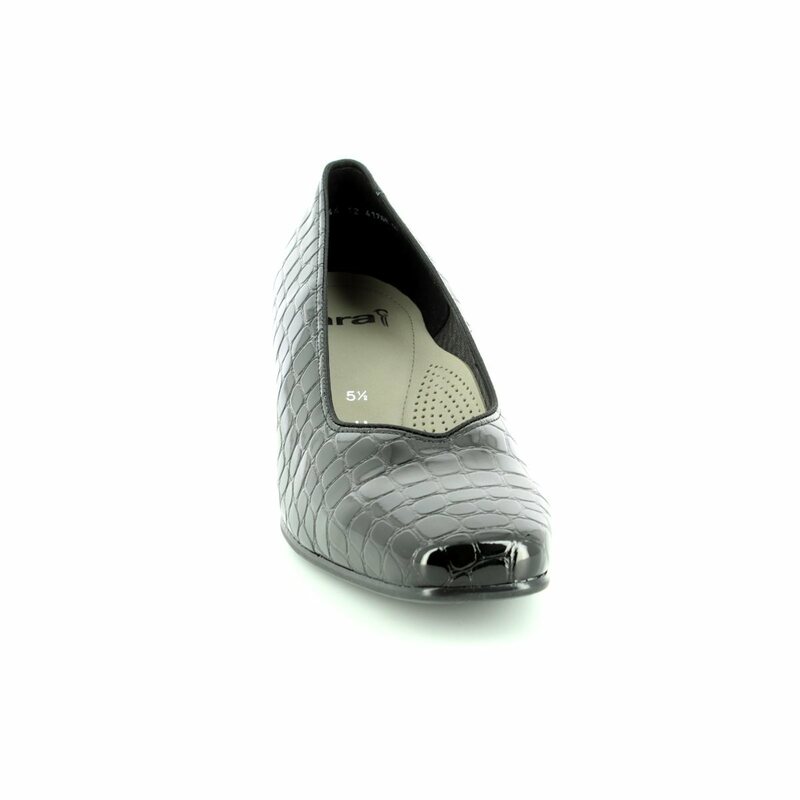 The cushioned insole adds comfort to these ladies courts with gel padding strategically placed alongside a memory function to provide sublime shock absorption. 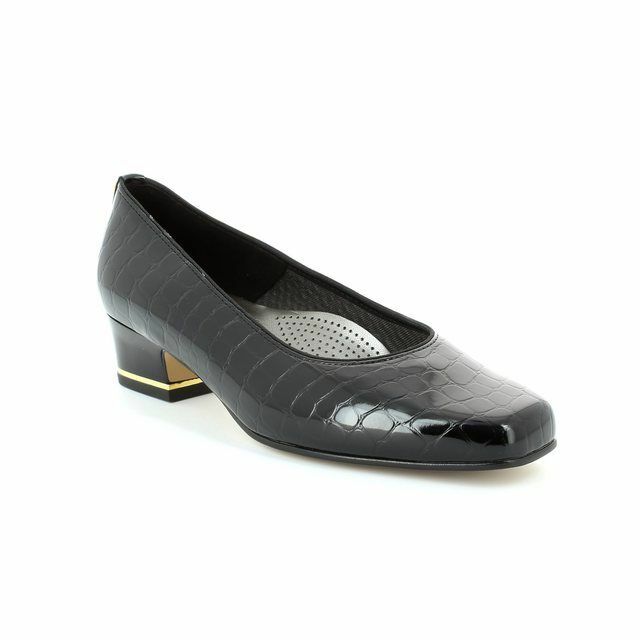 These ladies court shoes are stunning paired with trousers or a skirt for simple elegance. 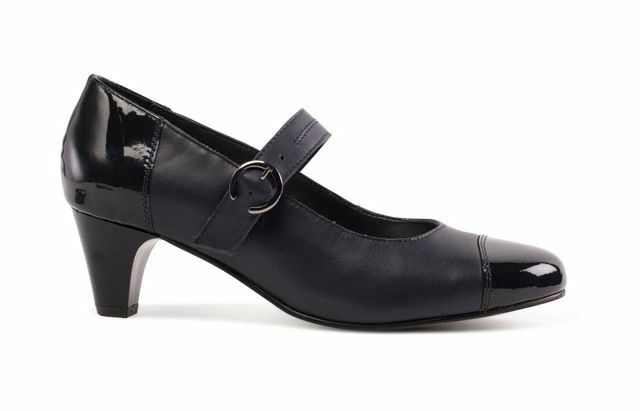 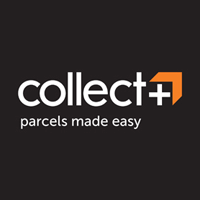 Buy your Ara ladies court shoes from Begg Shoes, an official Ara stockist.